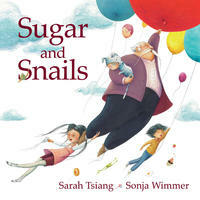 Picture books aren't just for kids anymore, and don't think you even have to kids to delight in their riches. Of course, they still make great gifts for the pre-literate set, but readers of all ages will find a lot to appreciate in this selection of some of the most wonderful picture books of the year. About the book: How does a story begin? Sometimes it begins with a dream, and a dreamer. 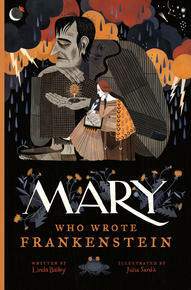 Mary is one such dreamer, a little girl who learns to read by tracing the letters on the tombstone of her famous feminist mother, Mary Wollstonecraft, and whose only escape from her strict father and overbearing stepmother is through the stories she reads and imagines. Unhappy at home, she seeks independence, and at the age of sixteen runs away with poet Percy Bysshe Shelley, another dreamer. Two years later, they travel to Switzerland where they meet a famous poet, Lord Byron. On a stormy summer evening, with five young people gathered around a fire, Byron suggests a contest to see who can create the best ghost story. Mary has a waking dream about a monster come to life. A year and a half later, Mary Shelley's terrifying tale, Frankenstein: or, the Modern Prometheus, is published—a novel that goes on to become the most enduring monster story ever and one of the most popular legends of all time. 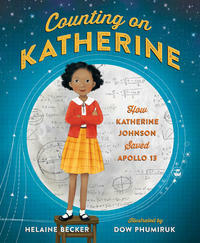 About the book: The bold story of Katherine Johnson, an African-American mathematician who worked for NASA during the space race and was depicted in the film Hidden Figures. About the book: It's time for the annual Race-a-thon, and Steve the horse is excited! He knows he'll win. He wins every year! And no wonder, Steve's body is built for running. He's got a big chest for deep breaths, powerful hindquarters to propel him forward and the longest legs in the forest. But when he goes to sign up, Steve finds out the rules have changed, and his confidence starts to waver. Because this year, the Race-a-thon is going to be a relay race, which means all runners must compete in teams. And Steve's on a team with the slowest runners in the forest: Turtle, Duck and Snail! Is it possible that Steve could lose the Race-a-thon for the first time ever? 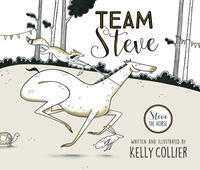 This delightful picture book story from Kelly Collier about the lovable—if sometimes self-absorbed—horse named Steve is laugh-out-loud funny. Every page features humorous and cleverly designed interplay between the illustrations and commentary, as well a few definitions (such as powerful hindquarters: “That means strong bum muscles”) that provide vocabulary enrichment. 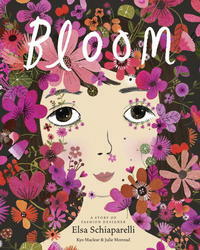 The humor and the edge-of-the-seat description of the race make this a fantastic read-aloud pick. It also works as a great discussion starter on the topic of sportsmanship and on the character education skill of teamwork. 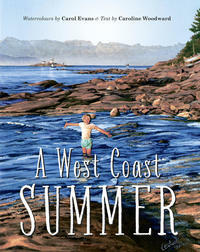 About the book: Pairing two dozen of Carol Evans’s wonderful watercolours with a lilting rhyming story by Caroline Woodward, A West Coast Summer tells of a timeless, idyllic season where “Sea salt in the air floats everywhere / and cedars smell so sweet beside the shore.” Children race bikes along sand flats, search under logs and in tide pools for tiny creatures, jig at the dock for herring, dance at a totem raising ceremony, pick berries, make memories and leave footprints in the sand. 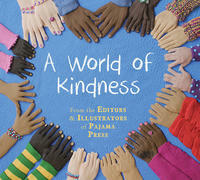 Sheree Fitch's playful words lead you into this beautiful children's book and invite you to celebrate our gifts, our weaknesses, our differences, and our sameness. Fitch displays her wit and mastery of words in quick, rollicking rhymes that are complemented by Emma Fitzgerald's lively illustrations. 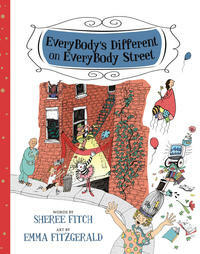 EveryBody's Different on EveryBody Street was originally produced in 2001 as a fundraiser to commemorate the 10th Anniversary of the Festival of Trees in support of the Nova Scotia Hospital and to raise awareness for mental illness and addiction. About the book: Mustafa and his family traveled a long way to reach their new home. 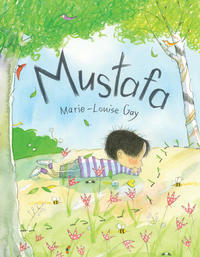 Some nights Mustafa dreams about the country he used to live in, and he wakes up not knowing where he is. Then his mother takes him out to the balcony to see the moon—the same moon as in their old country. In the park, Mustafa sees ants and caterpillars and bees—they are the same, too. He encounters a “girl-with-a-cat,” who says something in a language that he can’t understand. He watches an old lady feeding birds and other children playing, but he is always looking in from the outside and he feels that he is invisible. But one day, the girl-with-the-cat beckons to him, and Mustafa begins to become part of his new world. 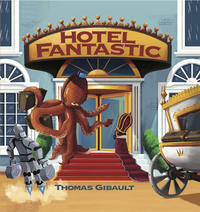 Thomas Gibault's wild picture book invites children into a fantastic world filled with unexpected characters. The rich, bright, one-of-a-kind illustrations are laugh-out-loud funny and encourage visual literacy—there's something different and new to discover with every perusal. And the surprising twist ending will inspire repeat readings as children search for clues sprinkled throughout the story. Based on the vivid imagination of one boy, this is a book that beautifully showcases the wonders of imaginative play and encourages play-based learning. Also, many young children will identify with the boy's antagonistic relationship with his sister. About the book: 1968 was a year of unrest: many nations were at war. People marched for peace, fairness, and freedom. At the same time, the Apollo 8 crew was about to go farther into space than anyone had gone before—to the moon. As they surveyed the moon’s surface, astronauts aboard Apollo 8 looked up just when Earth was rising out of the darkness of space. They saw the whole planet—no countries, no borders. 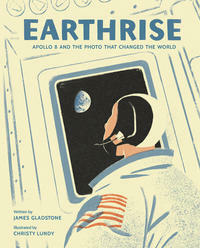 The photograph they took, Earthrise, had a profound effect when published widely back on Earth, galvanizing the environmental movement, changing the way people saw our single, fragile home planet, and sparking hope during a year of unrest. 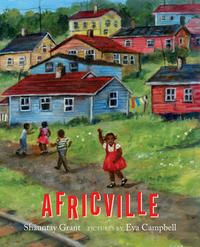 About the book: When a young girl visits the site of Africville, in Halifax, Nova Scotia, the stories she’s heard from her family come to mind. She imagines what the community was once like—the brightly painted houses nestled into the hillside, the field where boys played football, the pond where all the kids went rafting, the bountiful fishing, the huge bonfires. Coming out of her reverie, she visits the present-day park and the sundial where her great- grandmother’s name is carved in stone, and celebrates a summer day at the annual Africville Reunion/Festival. 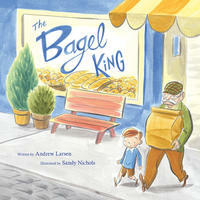 About the book: Every Sunday morning, no matter the weather, Eli could count on Zaida to bring bagels from Merv's Bakery. Eli loved the time they spent together enjoying their favorite treats. “Warm. Chewy. Salty,” Eli thought. “Bagels were the best thing about Sunday.” But one Sunday, Zaida didn't come. He had fallen at Merv's and “hurt his tuches,” and the doctor said Zaida had to rest at home for two whole weeks. This meant Eli had no Sunday morning bagels. And neither did Zaida's friends, who had been receiving their own weekly deliveries from Zaida. Will they all go hungry for bagels on Sunday? Or is there something Eli can do? About the book: Sophia bravely dives down to discover the secrets under the sea. She encounters beautiful fish and floating forests. Farther down, the dark water is full of tentacles and treasures. Deep underwater, she is never alone. Do you dare dive down after her? 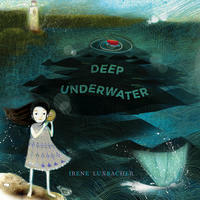 The ocean is full of endless possibilities in this dreamy, imagistic story from acclaimed author / illustrator Irene Luxbacher. Her otherworldly paintings show colorful fish, rippling seawater and the secrets to be found at the bottom of the ocean. Sophia’s journey will linger with readers long after the return to shore. About the book: Here is the life of iconic fashion designer Elsa Schiaparelli, who as a little girl in Rome, was told by her own mamma that she was brutta. Ugly. So she decided to seek out beauty around her, and found it everywhere. What is beauty? Elsa wondered. She looked everywhere for beauty until something inside of Elsa blossomed, and she became an artist with an incredible imagination. Defining beauty on her own creative terms, Schiaparelli worked hard to develop her designs, and eventually bloomed into an extraordinary talent who dreamed up the most wonderful dresses, hats, shoes and jewelry. Why not a shoe for a hat? Why not a dress with drawers? And she invented a color: shocking pink! Her adventurous mind was the key to her happiness and success—and is still seen today in her legacy of wild imagination. Daring and different, Elsa Schiaparelli used art to make fashion, and it was quite marvelous. 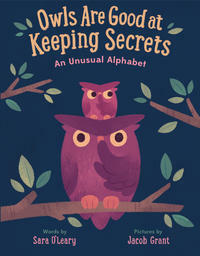 About the book: Did you know that chipmunks love to stay up past their bedtime? Or that dragons cry at happy endings? I bet you'd never have guessed that iguanas sometimes get homesick at sleepovers. This is more than just an alphabet book—it is a charming, hilarious and touching look at the diversity of personalities in the world, worth many, many re-reads. 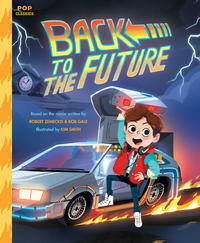 About the book: Great Scott! The hilarious hit movie from the 1980s is now a wild and wacky picture book perfect for kids of any age! 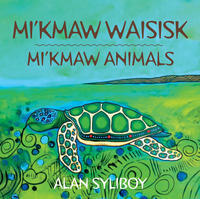 About the book: Alan Syliboy, author of The Thundermaker, showcases his vibrant artwork in this new baby board book. Colourful images depicting Canadian animals like moose, whales, and caribou, and more makes this vibrant book a perfect introduction to the Mi’kmaw language. With English and Mi’kmaq translations for the animal names on every page, babies will enjoy the vivid paintings while they learn new words and discover a bit of Mi’kmaw culture in a fun way. 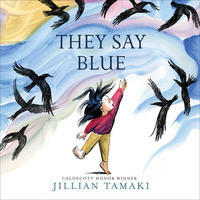 About the book: Caldecott and Printz Honor-winning illustrator Jillian Tamaki brings us a poetic exploration of colour and nature from a young child’s point of view. They Say Blue follows a young girl as she contemplates colours in the known and the unknown, in the immediate world and the world beyond what she can see. The sea looks blue, yet water cupped in her hands is as clear as glass. Is a blue whale blue? She doesn’t know—she hasn’t seen one. Sophia bravely dives down to discover the secrets under the sea. She encounters beautiful fish and floating forests. Farther down, the dark water is full of tentacles and treasures. Deep underwater, she is never alone. Do you dare dive down after her?